In the ongoing fight against piracy, European police this week carried out coordinated raids in Germany, France, Spain, and the Netherlands. The raids on offices, apartments, and data centers were in connection with a probe into an Internet film provider called Kino.to. This is one of the largest piracy-related busts in history, with more than a dozen people connected to the site arrested (some reports say 13, though that number will likely grow). Prosecuting the suspects in the case may prove difficult since Kino.to hosted no illicit content itself, but indexed material stored on file-hosting services and other streaming websites. According to local anti-piracy group Gesellschaft zur Verfolgung von Urheberrechtsverletzungen (GVU, translated as the German Federation against Copyright Infringement), some 250 police and tax officers as well as more than a dozen computer specialists were involved in Germany alone. Shortly after the raid was announced, GVU's website crashed. The group said its website had been the victim of a hacker attack, according to Hollywood Reporter. The website was used by 4 million users daily, hosted links to German versions of thousands of copyright protected films and TV shows, and was once called the "world's largest German-language piracy website." It is suspected of being involved with a criminal organization and of breaching copyright laws over 1 million times. Kine.to is no longer available since police reportedly seized the domain name. Kino.to has long been a huge issue for studios, networks, and producers in Germany. Until now, however, authorities had been unable to take action against the website. 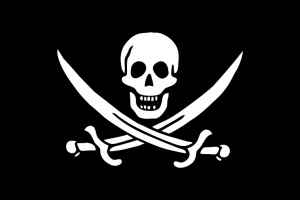 They have now succeeded, and pirates are likely already hard at work on an alternative.